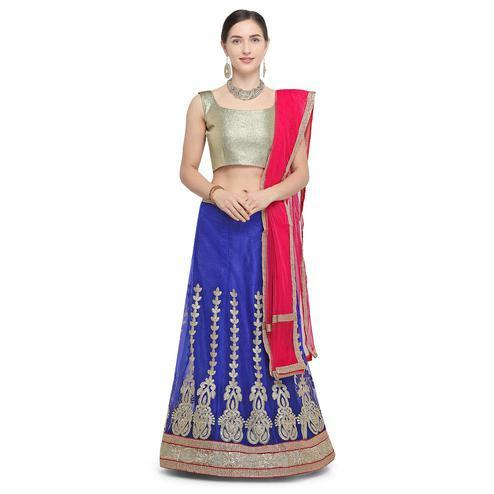 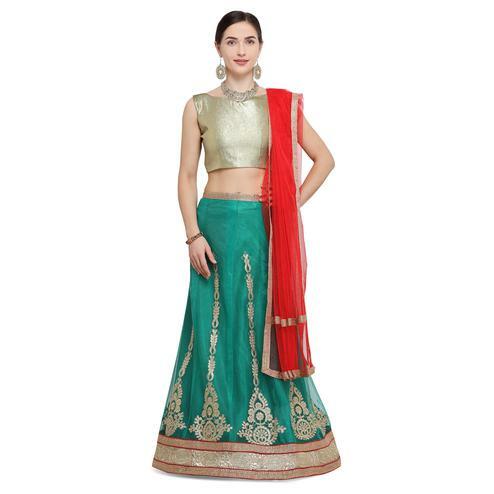 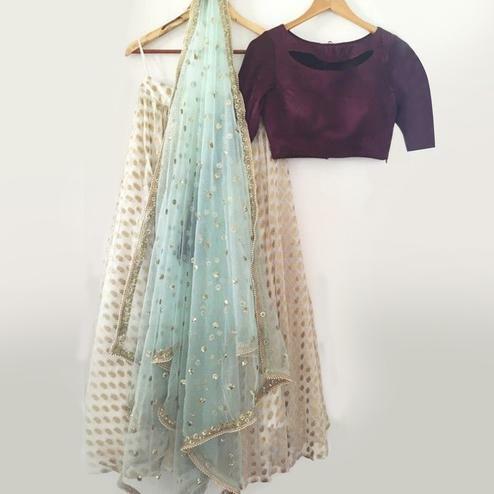 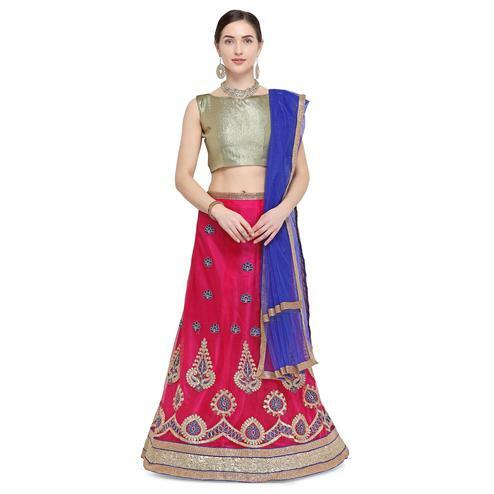 Shine like a star wearing this cyan blue designer lehenga choli. 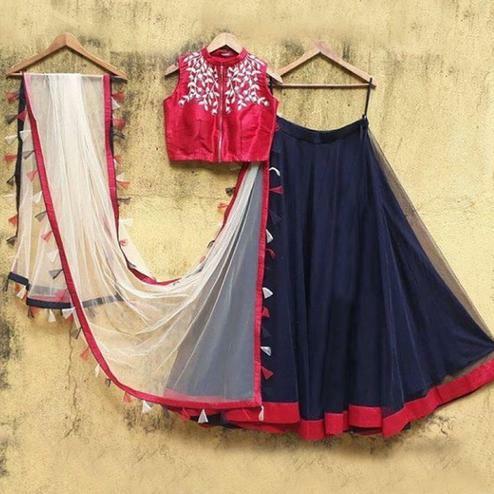 The print, stone & lace border work within the attire adds a sign of magnificence statement. 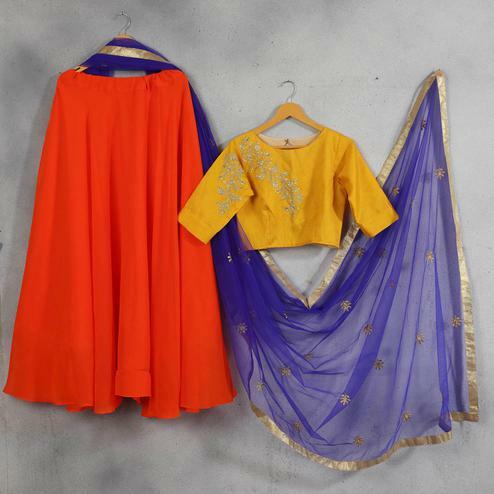 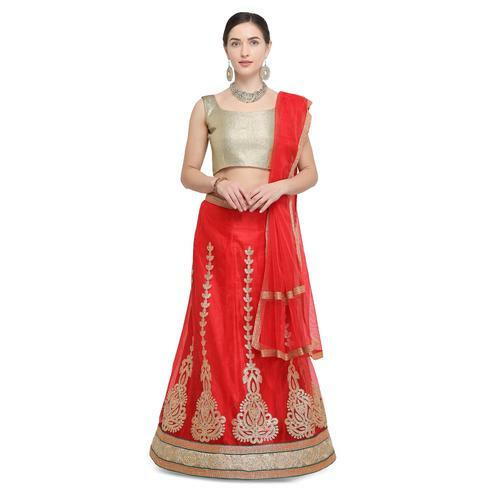 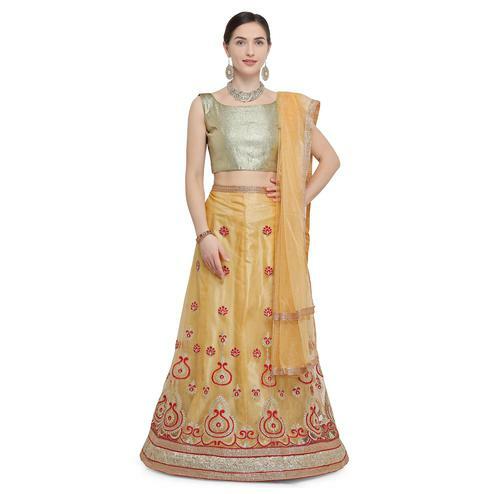 It's an ideal attire for traditional functions & special occasions. 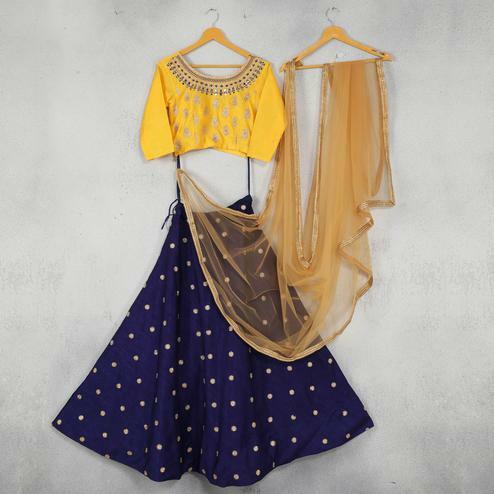 The outfit comes along with a printed blouse & net fabric dupatta.